Go for a complete look with the REHAB Croco Verniz Olive belt. 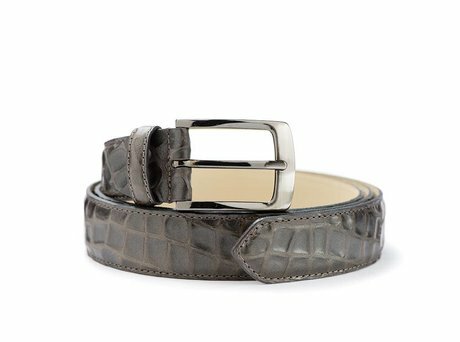 The belt is a perfect match with the Gregory Croco Verniz Olive men's shoes. A matching leather belt in combination with your REHAB shoes will complete your outfit! The REHAB belt Croco Verniz Olive is a sturdy handmade belt of Croco leather and has a nice buckle. The belt has a length of 120 cm and can easily be shortened to any desired length with a smart screw construction. Ontvang direct een e-mail zodra de REHAB BELT CROCO VERNIZ OLIVE op voorraad is in jouw maat.